Growth is always relative, so we shouldn’t get too carried away by the headline here – a variation on the headline run by the New York Times – “Most Afghans Can’t Read, But Their Book Trade Is Booming” ­– which is accurate to the extent that growth from a low start can seem like a boom. But let’s rejoice in the fact that there is any book trade at all in Afghanistan, after the cultural destruction of the Taliban years. In 2001 there were just two publishers and one independent bookstore in the country. And kudos to the New York Times for covering book issues at all in a country that seems to be completely off the radar of most industry observers. The gist of the NYT article is that this revival in interest in books, post-Taliban, is happening thanks to Afghan efforts, not foreign aid. Safiullah Nasiri is one of the four brothers who run Aksos, a book publisher that also operates several bookstores in Kabul. It’s an Afghan-owned and Afghan-led process … Publishers are all trying to find new books to publish, young people are trying to find new books to read, writers are looking for publishers. It’s a very dynamic atmosphere. And it’s something independent, with no foreign assistance. According to the New York Times Kabul now has 22 book publishers, with many more in the country’s 34 provinces, and 60 registered bookstores, in a city of five million. Poor relations between Afghanistan and neighbouring Pakistan are at the heart of the Afghan book trade revival. 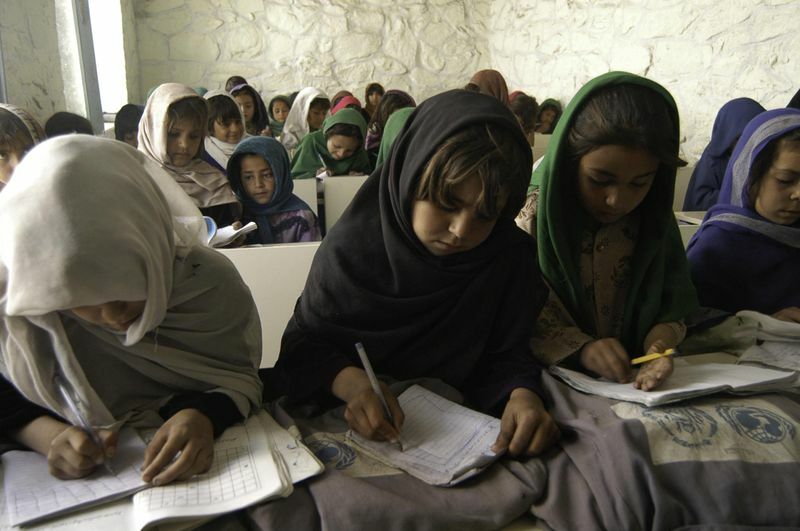 With the Taliban tamed, if not quite eliminated, the Afghan government faced the task of rebuilding the country’s education system from the ground up, including reprinting textbooks for the country. At first this task went to publishers in Pakistan, but political disagreements put paid to that and the challenge of publishing the nation’s schoolbooks shifted to Kabul. Partly undermining the assertion of Safiullah Nasiri, above, that the book trade boom is a home-grown phenomenon, it was foreign aid that enabled Afghan publishers to set up the printing presses need for the herculean task of reinvigorating the Afghan education sector, and it was these presses, laying idle afterwards, that fired the Afghan book boom, with publishers translating western books into Pashto and Dari. With no ebook retailers and all but no e-commerce, publishers are turning to Facebook to sell print books online via smartphone connections, to be delivered by courier. Piracy, inevitably, is a big challenge in Afghanistan where, as in so many countries, it seems photocopier ink and paper is cheap and plentiful, and readers long denied access to books are happy to take whatever format is available. The government has acted to close photocopier shops caught pirating print titles, but it will take more than that to convince publishers enough is being done to combat piracy. With internet penetration at just 12% a drive to digital may seem counter-intuitive, but given the impracticability and relative expense of print distribution in a country like Afghanistan, and that the most literate will also be the most active smartphone users, it’s an opportunity Afghan publishers would be well-advised to pursue. ← Previous Previous post: Cairo International Book Fair – 2.5 million visitors and only half-way through?